Thanksgiving is approaching which means the holiday season is finally upon us. 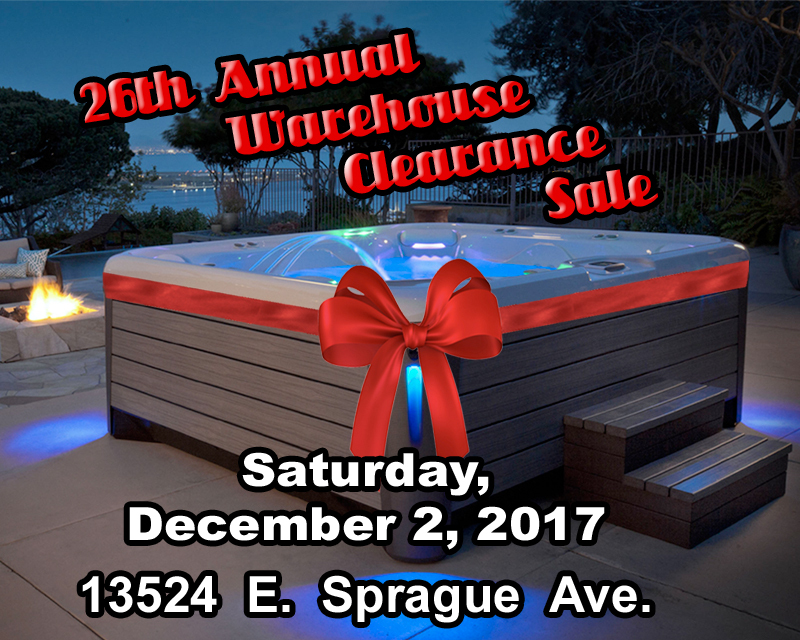 During this time of year between Thanksgiving and Christmas, Pool World will host their Annual Warehouse Clearance Sale. This year the 26th Annual event will be taking place on December 2nd at 13524 E Sprague Ave. This is the largest sale of the year on ALL of our products! Come and find your ideal hot tub to help take the winter chill off. Or maybe a new grill is your style! Come check out our specials on Big Green Egg, Traeger or Weber Grills. No matter what you are looking for, we have all of it on sale at our 26th Annual Warehouse Clearance Sale!